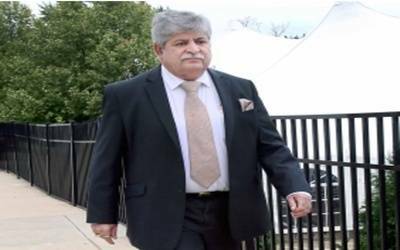 Chicago, Sep 13 (IANS) With his first three-year term as a Member of Parliament in New Zealand behind him, Mumbai-born Mahesh Bindra is biding his time for the next phase of his engagement in his adopted country’s public life. "With some luck I might get a second term, but irrespective of that I enjoy being part of politics in a democratically vibrant country," Bindra told IANS on the sidelines of the recently-concluded World Hindu Congress in Lombard near here where he was a special invitee. Travelling to New Zealand with his wife and three children in 2002, Bindra has attained a position of political prominence after becoming an MP in 2014. From being a principal correctional officer at the Mount Eden prison, which then had 400 inmates, Bindra’s career took a political turn when he asked a tough question of Winston Peters, leader of the controversial New Zealand First party who is also the country’s deputy prime minister and foreign minister, at a public gathering. Peters and his party had the reputation for race-baiting and Bindra being an outspoken man wanted to find out the truth for himself. A candid exchange with Peters prompted the latter to invite Bindra to join the party and consider politics. "I come from a political family. My father was an active member of the Bharatiya Jana Sangh. When Peters asked me to consider a political career it seemed like a natural progression," he said. He became a member of NZ First in 2006 over cautions of fellow Indian immigrants, many of whom thought Peters and his party were racist. "I studied the party’s policies closely. In fact, Peters even asked me to make policy suggestions over immigration. My many interactions told me that the perceptions of NZ First being racist were unfounded and in fact Peters and others were open to suggestion," he said. When he first contested for parliament from the Mount Roskill constituency in the city of Auckland in 2011, he got 419 votes and was placed 21st on the party list. It was only after he began rising steadily that in 2014 he was elected to parliament under New Zealand’s rather complex electoral system. Although his first term ended last year, there are strong expectations that he will return in 2020. During his term as MP, Bindra was appointed spokesman for Corrections, Customs, Ethnic Affairs and Land Information New Zealand. In a country where the aboriginal Maori population constitutes about 15 percent of the total of 4.74 million people, Bindra won their hearts when he took his oath in the Maori language apart from English. He said the Maori members were "overcome" by his gesture. "I told them it was my way of respecting and acknowledging the original inhabitants of New Zealand," he said. Bindra said he is conscious of the fact that the Maori make up more than 50 per cent of the prison population and wants to continue his engagement to address the often unjust legal system. "Race relations in New Zealand are, by and large, healthy, but we have our own challenges. As an immigrant, I feel it is my duty to play my part in improving them, especially for the Maori people," he said. Bindra sees himself as a long-term politician dedicated to represent New Zealand in "the best possible way I can". He believes that Indians in their adopted countries around the world must get involved in politics at all levels "because that is the best way to assimilate and get heard".